Firstly, I give my utmost gratitude to my ever supporting family for providing resources, materials and much needed love to enable me to pursue freely the things that inspire me. Secondly, to Rochelle for consistently providing her exponential intelligence and invaluable belief to propel me onwards and upwards, thank you. Finally, to Chris Robson (my inspiring tutor) and every creative, artistic individual who has instilled their wisdom upon me, I hope you continue to do Props. It is first integral to note, that the genesis of this study has been one which has grown organically throughout my university practice; that of the role and importance that beatboxing may hold for the linguistic development of young people. Using my own small scale research in conjunction with relevant literature, this study aims to discover the strengths and legitimacy of this theory. The linguistic development and musical expression of young people have been two areas that I have had a deep interest in for several years. In terms of linguistic development I had the opportunity to read and reflect upon a variety of language acquisition theories by pioneers such as Aitchison (1987) and Chomsky (1968) in A-level English Language. In addition, as a newly qualified teacher and a practicing beatboxer, I have a genuine interest in exploring how the musical voice can be used as a means of education and expression. By bringing together these two areas I began to wonder whether using the vocal apparatus as an instrument for language and as an instrument for music, could greatly benefit learners in a plethora of educational contexts. During my fourth year school placement I was offered what became an enlightening opportunity when I was asked to use beatboxing to teach a series of successive phonics sessions. I believe this held significance, as for the first time my passion for beatboxing had been recognised as a potential tool for delivering an area of the curriculum to young people. For this reason I believe it gave greater necessity for this area of research to be undertaken. Thus, I combined my own theories surrounding beatboxing with existing educational literature (Phase 6 of the Letters and Sounds document (D of E, 2007) and the All Our Futures document (NACCCE, 1999) to plan a somewhat ‘different’ educational experience. The focus group for these lessons were a small group of pupils who lacked the desired phonic skill level for their age. What was also intriguing was that from conversations with the class teacher, the children were also experiencing issues showing enthusiasm and enjoyment for the synthetic phonic approach that the school implemented. Unfortunately, due to the demands of the school timetable and timing issues, I was unable to teach the full series of sessions. As a result, a strong desire to continue exploring these ideas remained. This pursuit for advocating the link between music and language learning was re-instigated during my university sessions when, as a part of the assessment for the course, we received an opportunity to engage in educational research. Immediately, I felt that I must take this opportunity to continue my investigations that were previously cut short. In order to present an educationally viable idea, it was fundamental that I began to read current initiatives and research key concepts that I might address. Through’ (Watkins, C.L., 1997:7), in which it states it was ‘the largest educational study ever conducted in the history of education research’. Similarly, there has been a recent academic zeitgeist highlighting the importance of a ‘systematic, comprehensive, phonics-based approach’ (ibid). This initial research was enough to suggest that using a musical approach to teaching phonics as opposed to other reading methods, would be the most relevant area to pursue. More so, initial reading suggested that the fundamental ideas behind beatboxing could lend to the teaching of phonics. Hallam, S. (2010:63) reciprocates this notion by stating that the plosive, rhythmic sounds that are the foundation of beatboxing, could affirm the ‘phonemic awareness’ and rhythm of language taught to children at an early stage in their education (Stanovich,1993:16). Due to the parameters (length, time, ethical considerations etc) of this particular project, I am aware that there may or may not be any conclusive evidence to prove or disprove my theory. Yet I contend that the research project has academic wealth and value due to the fact that I will attain a better understanding of how educational research can have impact on in class teaching. As a newly qualified teacher I believe it is important to reflect on current practices and use new research to raise educational standards by re-engaging in current practices and allowing for change. One may conceptualise this study as a piece of ‘action research’, in which one is potentially concerned with ‘finding a solution to a problem’ (Cohen et al. 2000:92). Thus, I must strike balance and remain inquisitive in order to stay in line with the ‘discovery’ based nature of this ethnographic study. Similarly, I must acknowledge there will be a degree of bias (ibid) and to ensure there is minimal compromise of validity, data must be collected effectively and concepts addressed should be well informed by literature. The implementation of my research will consist of three prominent phases, of which after each phase, there will be reconnaissance, review and action. To ensure ‘triangulation’ (Deanscombe, 2010:65) and therefore optimise validity, I will use a variety of data collection devices that I will mention throughout each phase. However, the notion of validity will be a questionable concept as with a discovery based study, validity is compromised with high levels of researcher bias. This is acceptable but must be acknowledged as ‘true’ (Siraj-Blatchford, 2001). Selection of participants will be based around a lack of ‘enjoyment’ and ability in phonics. This will have been observed and identified by myself and the class teacher. I will then conduct an interview with each child. Bell (1993), outlines that the advantages of interviews is their ‘adaptability, in that the interviewer can probe responses and investigate motive and feelings which a questionnaire cannot do. This is conducive when asking about to the extent a participant ‘enjoys’ something. However, Robson (1993) warns that interviews can contain bias and can be time consuming. Despite this, I feel using a semi-structured interview method, in that it allows for some ‘purposeful conversation’ (Maykut and Morehouse, 1994:81) which will work well with the age range being worked with in my research (year two pupils). However, there is a ‘research paradox’ (Robson, 1997:43), where I myself am delivering the session but am also required to document findings. Thus, to ensure objectivity, I will prepare a visual recording of the session which I can review afterward. Completed work by participants will also be analysed to discover any pertinence toward to study. The work will then be recorded using both visual and audio equipment to discover if the participants exhibit visual ‘enjoyment’ and to hear the vocalisation of key phonemes. In order to effectively review progress from the initial interview, a second semi-structured interview will be implemented (C.F Appendix 2). This will be similar to the original but slightly modified. I will use audio recording software to capture responses. Accompanying this will be a short debrief for participants. Following the interviews, data will be gathered and suitably analysed in relation to the hypotheses arrived at during the literature review (Deanscombe, 2010:227) for relevance and pertinence to the study, ensuring that data is kept confidential. Over the past decade, ‘high levels’ of research have been propagated in regards to a governmental push on phonic teaching (Goswami, 2008:124). This educational zeitgeist has intensified the requirements for a plethora of non-governmental and governmental initiatives. This literature review attempts to discuss the quality of such initiatives and the relevance of their position in current educational contexts. It also attempts to look at research and ideas behind the significance of music, in particular the contemporary genre of ‘beatboxing’, in providing a potential context for phonic delivery. In recent times, reading initiatives have derived directly from ‘guidance which accompanies the PNS literacy framework’ outlining that schools and early years settings should ‘put in place a systematic, discrete programme as the key means for teaching high-quality phonic work’ and that ‘shared and guided reading sessions should not be used to replace discrete phonics teaching but they can provide opportunities to reinforce children’s developing phonic knowledge and skills (DfES & PNS, 2006:7). This research outlines that a systematic approach is in fact a certifiable means of teaching reading in schools effectively and is currently a governmental recommendation. However, despite the research outlining clear benefits of a synthetic approach to phonics, critics argue that it does not ‘develop comprehension skills which are the essence of reading’ (Watson & Johnston, 2004: 339). (United Kingdom Literacy Association (UKLA), 2005:3). Stannard (2005:21) supports this notion by arguing ‘against the promotion of a single best method’. ‘‘The most common comment, cited by a third (32 per cent) of respondents, [was] that a variety of teaching/learning methods needs to be used alongside phonics, including contextual understanding’’ (QCA, 2006:13). From this informed discussion, one could deduce that indeed a systematic approach is the most apt for teaching phonics but whether one specific style should be used is not so clear. Rather multiple approaches can only serve to enhance aptitude. Thus, there will now be a review of relevant literature with a focus on how using music as a context for learning could form an aspect of this multi-faceted approaches. Music has, for many years, been identified as an ‘essential element of early childhood education’ (Pound & Harrison, 2003:23). All humans are born with the potential to be musical and according to Glover, (2000:4) ‘music has a powerful motivating effect on adults and children’. This motivational effect can be seen to have a positive and beneficial effect on general learning. There seems to be little existing research in regards to the affect of music in an early literacy setting, however, Youth Music (2006) identified that where ‘music specialists were engaged on a regular basis with a setting the children’s music was more productive and had a higher impact upon their learning’. In a study of the enjoyment of music, Dittermore (1968:12) finds that music can have the power to "increase our power to understand what it is to truly enjoy and to achieve more control over our activities which bring enjoyment”. This notion of music increasing one’s enjoyment is an idea outline in my proposal. I will now discuss increasing enjoyment in a learning context could increase one’s ability to learn. ‘enjoyment is a concept that is self-defined’ by students and when students describe enjoyment they ‘describe actual, real-time emotional experiences, they refer to state emotions (e.g., “I am enjoying class at this moment”). An emotional trait can be conceptualized as a long-enduring disposition to experience a particular emotional state’. Goetz (2004:9) also outlines that ‘high levels of enjoyment should coincide with flexible learning styles’. Goetz et al. (2003:24), states that ‘emotional experiences should both influence and be influenced by their learning behaviour’. These theoretical outlines of educational enjoyment seem to suggest that it is through the process of the enjoyment of learning that students can become conscious of specific learning areas and in turn, become aware of the learning style that is most effective for them. Thus, synthesising these discussions of informed literature; one could hypothesis that the idea of using music as an enjoyable context could be positively conducive to student’s learning behaviour. However, due to the tentativeness of defining ‘enjoyment’; one requires a more educationally supported and research when considering if, on a more specific level, music could be a vehicle, as mentioned previously, for teaching systematic synthetic phonics. Thus, I will move to discuss the surrounding literature in regards to how music could facilitate such a theory. Towell (1999:284) reciprocates this theory of elements of music being conducive to language learning by stating that “combining rhyme rhythm rap and repetition exposes children to the best of worlds, the world of music and the world of literature”. Ergo, the idea of music existing as a context in which learning can thrive is an area that is seemingly one which is supported by valid research. More specifically however, the various aspects of music could act as a vehicle for language learning. Returning to the earlier discussion on a multi-faceted synthetic phonics approach, Susannah et al. (1993:21) highlight how: “Music training can be of immense benefit to a child's language development…pitch, rhythm, duration and timbre can be helpful in distinguishing phonemes and morphemes, recognising similar sounds in words and gaining fluency in reading through an awareness of the rhythmic structure of language”. It is with this idea of music promoting the ability to ‘distinguish phonemes and morphemes using the elements of music’, where the review adopts a more personal perspective. The discussion moves from the overarching benefits of music to a more specific musical approach. Beatboxing (also known as ‘vocal percussion’) is a relatively new musical genre and one which has “developed well outside academia…so there is (to our knowledge) very little scholarly work on the topic, either its history or its current practice.” (Stowell et al,2008: [online]). According to Noise et al. (2006: [online]) in an in depth article on the history of vocal percussion from the past 1000 years, they suggest that ‘The history of Beatboxing is blurry', however they do agree that beatboxing is “an art form…part of the music and urban scene.” The roots of beatboxing are evidently ‘urban’. This notion of the urbanity of beatboxing being of educational merit is an area I will pursue after a discussion of the key concepts of beatboxing. Essentially the beatboxer uses ‘vocal organs to emulate the beats and rhythms of a drum machine (Matela, 2002: [online]). With this idea of the promotion of ‘short and plosive’ sounds that allow a beatboxer to replicate percussive sounds, one can readily draw links to the encouraged techniques taught when delivering synthetic phonics. Synthetic phonics is built on the premise that there is “synthesis of phonic skills from their smallest unit (graphemes)” (Hempenstall, 2001:26). It is this promotion of using the smallest unit of sound that facilitates effective blending of words. However, research has found that in the early stages of phonic learning, students often pronounce phonemes with an ‘uh’ suffix, for example, research by the Department for Educational Excellence (1998: [online]) found that Pupils may read them as sight words or by the “cuh-a-tuh spells cat” approach in which a simple “rhyme” is learned by rote. Thus, for pupils to eventually blend words effectively in a synthetic phonic approach, it is key they learn how to pronounce the graphemes correctly. Specifically these are to be short and infinitive sounds, for example ‘c’ as opposed to ‘cuh’. From my own experience of teaching beatboxing as an art form, it has been young people from the more socio-economically deprived areas that are both a) more aware of beatboxing as a musical genre and b) already capable of performing elements of beatboxing. After further research The NCES (1998), also found that it was ‘Their inability to generate sounds is usually a result of being unable to segment a word into distinctive sounds’. Thus, synthesising the previous discussions around the concepts addressed in the proposal; one has discovered that it seems a systematic synthetic approach to phonics is currently viewed as the most effective. It also seems from literature and research surrounding the notions of music and enjoyment, an enjoyable music approach could be conceptualised as a means of delivering such a phonic approach. However, after further research in conjunction with my own personal experience and belief, I have found that research has alluded to the relatively new and academically untapped genre of beatboxing, being an educationally viable vehicle for teaching the fundamental aspects of synthetic phonics. Specifically, beatboxing could be a means of facilitating the early reading skills of students from low socio-economical backgrounds. Due to the small scale nature of this research project I feel it is logistically conducive to explore the notion of beatboxing as an enjoyable vehicle for teaching synthetic phonics. Throughout this analysis one must be aware that this small scale research study came from personal origins and therefore the purpose is to gain an insight into a relatively unreported theory. Teaching synthetic phonics using beatboxing as a vehicle improves the vocalisation of phonemes. 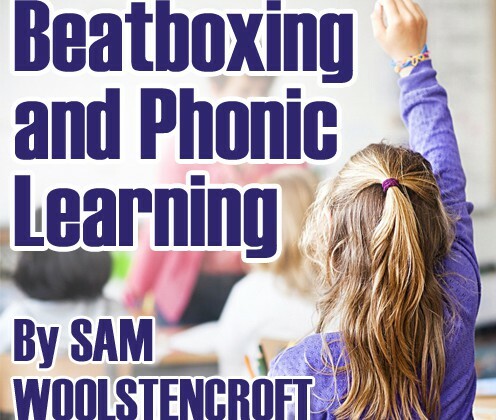 Teaching phonics through beatboxing increases student enjoyment of phonics. Beatboxing is a means of facilitating the early reading skills of students from low socio-economical backgrounds. (Stake, 2005) of the key findings. I will explore these hypotheses using evidence and data to discover emerging themes and trends. ‘to discover the effect of beatboxing on the enjoyment and skill of young people in phonics’. The child who will act as a representative example, upon completion of the literature review, was seen to be the most relevant participant due to their apparent socio-economic background and existing skill level in phonics. Due to the ethnographic nature of the study, telling the narrative of one child’s ‘journey’ throughout is the most conducive means of presenting information in this ‘discovery’ and ‘insight’ based study. Using information for one child is more favourable when considering the logistical parameters of this study (time, ethics, word limit etc). This child will be referred to throughout as ‘NB’. However, interviews with other participants will be included in the appendices (C.F. Appendix 11) for the reader to ‘self-triangulate’ results if and when required (Siraj-Blatchford, 2001). To gather information relating to hypothesis (3), it was important to first ensure relevant background information was obtained for each child. This enabled the researcher to deduce the current socio-economic context of both the school and participants. A ‘child profile’ (C.F. Appendix 6) was devised for NB with support from the class teacher. This aimed to acquire basic information regarding the child’s background and current phonic level. As can be seen from the child profile, NB lived in close proximity to the school, an area which has a high Index of Multiple Deprivation (C.F. Appendix 12). In addition, NB lives in a single parent household. Researcher: What does enjoying something mean? Researcher: Do you enjoy phonics lessons? Researcher: You do enjoy phonics lessons? You look very sure of yourself there. What do you enjoy about phonics? Researcher: Do you think you’re good at phonics? Researcher: Do you think you’re ok at phonics? Researcher: Ok so you don’t think you’re really good but you don’t think you’re bad? “when you like things what you’re doing”. When compared to Epstein’s theory of student’s self perception of enjoyment one could suggest he is describing ‘actual, real-time emotional experiences’ (Epstein, 1977). NB uses the continuous verb ‘doing’ and is suggesting that when one enjoys something they are experiencing it in the moment. When asked if he enjoyed phonics, the reply was ‘an enthusiastic nod’ and more specifically, it was ‘reading new books’ that he enjoyed the most. If one were to analyse the structure of this sentence, it is not the act of reading that NB enjoys, but the idea of receiving ‘new’ books. These insights suggest NB does have some self-perception of enjoyment. However, one must be aware that NB is six years old, therefore his restricted vocabulary combined with potentially leading interview questions could limit the validity of his description. Researcher: Do you know what beatboxing is? Researcher: Do you remember? So what do you think beatboxing is? NB: (Nods) When you do lots of sounds and…singing with your mouth. Researcher: Ok and did you know that beatboxing uses phonemes? Researcher: No you didn’t? Ok that’s fine. At this stage NB was not aware that beatboxing uses phonemes. Therefore as the analysis stage progresses, a comparison will be made to view any change in NB’s perceptions of beatboxing from phase one to phase three. In order to obtain information regarding hypothesis (1), interview questions were devised to assess the vocalisation of phonemes that are both recognised by the Letters and Sounds document (2007) and are also stated as they key sounds used in beatboxing from Stowell’s (2008) research. Researcher: OK, I’m going to show you some phonemes here and I just want you to read them out loud so I’ll just point to them and you read them ok? In relation to the research implemented by the DfEE (1998), NB can be heard ‘over-vocalising’ the phonemes. As this research is concerned with a synthetic phonic approach, in order to effectively blend words and read with fluency, one must vocalise phonemes in a short and succinct manner (Hempenstall, 2001). NB’s over-vocalisation of the focus phonemes was impeding his ability to blend and subsequently read whole words with fluency and speed. At this stage, it was important that reconnaissance was made in order to tailor the forthcoming implementation stage shown in the research diary (C.F. Appendix 8). The aims of phase two were to directly address the methods in which participants vocalised the focus phonemes. This would be done through two enjoyable sessions which used beatboxing as a medium to facilitate the vocalisation of the phonemes. In order to condense these aims into more ‘child-friendly’ language; a suitable phrase was designed which was both memorable and contained the desirable success criteria. This phrase was ‘short and sweet and on the beat’: one which aimed to encourage the plosive, rhythmic sounds that are desirable in a synthetic blending method of reading and that are also the ‘foundation of beatboxing’ (Stanovich, 1993). To ensure research triangulation, video footage was recorded for triangulation purposes and to ensure maximum objectivity. The structure of these sessions can be seen here (C.F. Appendix 3). Despite difficulties being experienced in terms of logistic and technological faults outlined in the evaluation of the lesson (C.F. Appendix 3), the sessions were successful and the aims achieved. Researcher: When the screen goes to the focus phoneme I’d like you to say it for me ok? Researcher: Excellent you’re already good beatboxers! NB: Ch…oh! ‘Ch’, ‘ch’, ‘ch’. This scenario that was previously overlooked suggests that NB has taken note that the aim of the sessions was to ensure the phonemes stay ‘short and sweet’. He clearly begins to apply this concept by self-correcting his vocalisation of the ‘ch’ phoneme. Researcher: so can you think of some more words with our focus phonemes? Researcher: (b)at! That’s got two of them in hasn’t it? Which two has it got? Researcher: Oh! I want to hear them ‘short and sweet’! By this stage it seems that NB had already begun to utilise the concept of keeping the phonemes ‘short and sweet’ and applied it to his own vocalisation of the focus phonemes. One could suggest that thus far, utilising the fundamental aspects under the heading of ‘beatboxing with phonics’ is facilitating the application of synthetic phonic skills. Session two of the implementation stage was designed to build upon the concept of using phonemes that are ‘short and sweet and on the beat’. The participants would create a nonsense poem (C.F. Appendix 10), allowing for assessment of the skills used regarding vocalisation of phonemes and the awareness of rhythm. The nonsense aspect meant that the participants did not need to worry over the content of the poem; it was simply the sounds and rhythm of the words that were being assessed. By putting the focus phoneme words into a ‘rhythm frame’ (C.F. Appendix 4a), the participants would be pulling together their ability to keep the phonemes ‘short and sweet and on the beat’. In order to observe the participants outputs, close up video footage of children reciting their ‘beatbox poems’ (C.F. Appendix 11) was captured, to both view any visual signs of enjoyment (relating to hypothesis 2) and to gauge a clearer view of how they vocalised the phonemes (hypothesis 1). Analysis of NB’s close up video will be used as a representative example. Footage of NB’s close up nonsense poem (C.F. Appendix 11), showed that no obvious signs of visual enjoyment appear. However, there are valid reasons why this may have been the case: due to the nature of this close up, one may deduce that NB felt nervous; aware that he was being filmed and thus interfered with any intrinsic or extrinsic levels of enjoyment. In order to triangulate and measure the representativeness of this observation; I analysed two other close up videos of participant’s poems. These participants will be referred to as JA and FK. In JA’s video (C.F. Appendix 11), we can see a similar result as there is a clear ‘nervous’ disposition as she recites her poem. Similarly, in FK’s this feeling is seemingly reciprocated. In terms of hypothesis (2), it is difficult to make any definitive observations as the participants may have been experiencing a ‘Hawthorne effect’; a ‘modification of behaviour based on the knowledge of being observed’ (Parsons, 1974:922). It seems NB had recognised the value of the ‘short and sweet’ element when vocalising the focus phonemes. In conjunction with it being ‘on the beat’, NB has combined the two essential elements of the success criteria, creating the desired ‘beatbox’. Researcher: Do you know what I mean when I say ‘you enjoy something’. What does ‘enjoying’ something mean? NB: Like when you do something and its good and you like it. Like when you play a game and you like it. Researcher: Ok good. Ok so have you enjoyed working with me doing beatboxing? Researcher: What did you enjoy? NB: Doing the beatboxing…Making the sounds with my mouth. Researcher: You do? OK great. (Dittermore: 1968:12). One may deduce that NB, through engagement in focused musical activity (beatboxing), has become more aware of enjoyment as a concept. More specifically, when asked to specify what it was about working with the idea of beatboxing that NB enjoyed, if we compare his response in phase one to phase three (C.F. Appendix 3), a clear change in NB’s knowledge is evident. He has moved from not knowing that beatboxing uses phonemes, to knowing that it does. However, it is important to note the ‘leading’ nature of such questions and this fact must be acknowledged when considering the validity of such an observation. Researcher: Ok could you read these phonemes for me? By comparing the vocalisation of the phonemes from the interview in phase one to that of phase three, NB has clearly positively progressed his vocalisation of the phonemes ‘b’ from ‘buh’ to ‘b’ and ‘t’ from ‘tuh’ to ‘t’. When asked to use the focus phonemes to blend, it is clear that NB still began by over-vocalising the phonemes however he, without prompt, self-corrected and continued with the ‘short and sweet’ versions of the phonemes that had been covered in phase two. As a result, by directly relating this discovery to hypothesis (1), the information gathered implies the implementation stage has had a positive effect on NB’s vocalisation. It must be made clear however, that these are not definitive conclusions and due to the nature of the study, these are simply insights and implications. The relevance and validity of which will be discussed in the conclusion. ‘ethnographic researchers are more interested in what ‘seems’ to be true than in any objectively defined truth and ‘our assessments of validity are based upoin our perception of ‘worth’ and hence our value systems. Thus in ‘clarifying our rationale we are delegating this responsibility to the reader, who may accept or reject our explicit values’. Upon reflection, it is integral to note that my own position as researcher has will affect the influence and interpretation of the results. Thus ‘coming clean’ with my own vested interests and allowing the reader to make their own judgements is where the validity of this study becomes evident. However, my aim is not to cease here. If I were to re-implement this independent research study, I would undoubtedly choose a larger sample size and more utilise more effective and well researched data collection instruments, in order to triangulate and obtain optimum validity. Therefore, this small scale research study has inspired a desire to take this research further and into a larger context. The next step is to assess the requirements to facilitate such an educational study. This research began as a study to discover the extent to which beatboxing could increase the skill and enjoyment of phonics for young people. Developing on my personal and professional experiences, I used available academic literature to support my hypothesis; music can be used as a tool to educate in a non-traditional sense (for the purpose of this study: phonics). What I realised from the initial stages of my research was that due to the nature of and general accessibility to, the art form of beatboxing (forming out of hip-hop cultures of the 1990s), may be particularly relatable to young people from low-socioeconomic backgrounds. Whilst aware of the flaws of this generalisation, I believe that this connection is still incredibly important and significantly under-researched. It is evident that beatboxing and other “urban” practices have more or less been excluded from academic discussion (Morrell et. Al., 2002:85). For a variety of reasons (of which I lack the structural space to explore now, see: Gilborn 2006, Baratz and Baratz 2012) these non-traditional and alternative practices have been perceived to lack the necessary value to warrant significant academic research. It is for this reason that I felt apprehensive embarking upon such research as my views and opinions would appear in relative isolation. Yet, I believe it has strong academic grounding from which this research project aims to prove. By bringing the link between phonics and beatboxing to the proverbial academic table, I aim to highlight the necessity and importance of giving weight to alternative methods of research. Everywhere in current educational practices, we can see examples of ‘lending’ from other cultures and I believe beatboxing is an educationally viable context for phonic instruction. The most poignant outcome of this study has been the amount of progress made by the focus participant in such a short space of time. I believe that with more time and access to better resources this area should warrant greater research, as it may potentially hold alternative teaching methods that would serve to enrich the curriculum. I hope this paper will spark useful debate regarding how the use of non-traditional educational methods can benefit early education. Department for Education (2010) The Importance of Teaching: Schools White Paper 2010. http://www.education.gov.uk/ [accessed 10 January 2012]. Goswami, U. (2008) Learning to read across languages: The role of phonics and synthetic phonics, in: K. Goouch & A. Lambirth (Eds) Understanding phonics and the teaching of reading: critical perspectives. UK, Open University Press, pp. 124–143. Hallam, S. (2010) 'Music Education' In P.Juslin and J. Sloboda (eds) , Handbook of Music and Emotion: theory, research, applications. Oxford (Oxford University Press). Hempenstall, K. (2001). School-based reading assessment: Looking for vital signs. Australian Journal of Learning Disabilities, pp. 26-35. Kolb, G. (1996). Read with a beat: Developing literacy through music and song. The Reading Teacher 50, no. 1: 76–9. Lederer, K. (2004) Part 1: An Introduction to beatboxing. 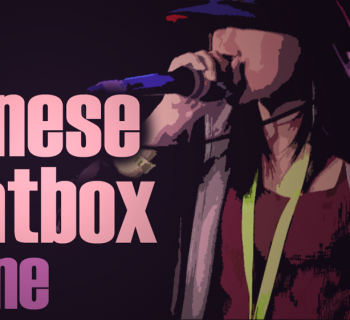 [online] Available at: http://www.humanbeatbox.com/article/the-phonetics-of-beatboxing-part-1/ [Accessed: 15/01/2012]. Maykut, P., & Morehouse, R. (1994). Beginning qualitative research: A philosophic and practical guide. London: Falmer Press. Morrell, E and Duncan, J. (2002) Promoting Academic Literacy with Urban Youth through Engaging Hip-Hop Culture. The English Journal. Vol. 91, No. 6. Article Stable. pp. 88-92Noise, W. (2006) The Real History of Beatboxing: Part 2. [online] Available at: http://www.humanbeatbox.com/article/history-of-beatboxing-part-2/ [Accessed: 20/01/2012]. National Advisory Committee on Creative and Cultural Education. (1999). All Our Futures: Creativity, Culture and Education. Report of the National Reading Panel. Teaching children to read: an evidence-based assessment of the scientific research literature on reading and its implications for reading instruction: Reports of the subgroups. NIH publication no. 00-4754 (Washington, DC, US Government Printing Office). Palmer, S. (2004). Hear hear. Nursery World, October 30, 25. Parsons, H. M. (1974). What happened at Hawthorne? Science, 183(4128), 922-32. Pound, L. & C. Harrison (2003), Supporting Musical Development in the Early Years, Buckingham: Open University Press, p.23. Rose, J. (2009) Independent Review of the Primary Curriculum: Final Report (No. 00499-2009DOM-EN). DCSF. Siraj-Blatchford, I. & Siraj-Blatchord J. (2001) An ethnographic approach to researching young children’s learning. In MacNaughton, G. Rolfe, S>A. & Siraj-Blatchford, I. (eds) op cit. Stannard J. (2005) `Give Them Literacy with All the Lights On', The Times Educational Supplement (9 December): 21. Stanovich, K. E. (1993). Does reading make you smarter? Literacy and the development of verbal intelligence. In H. Reese (Ed. ), Advances in child development and behavior (Vol. 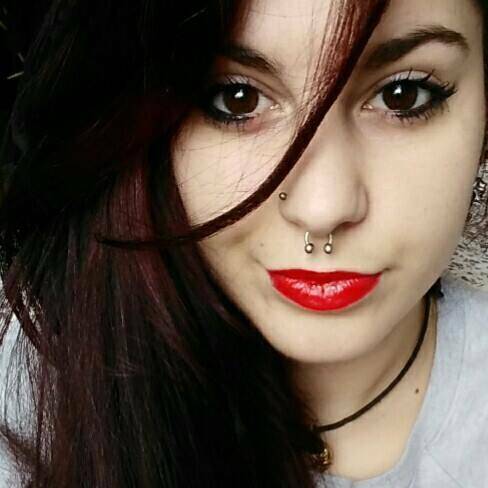 24, pp. 133-180). San Diego, CA: Academic Press. Stowell, D. (2008) Characteristics of the beatboxing vocal style. [online] Available at http://www.humanbeatbox.com/article/characteristics-of-the-beatboxing-vocal-style/ [Accessed: 04/01/2012]. Susannah, J. et al. (1993) The Relationship between Music and Reading in Beginning Readers. Educational Psychology: An International Journal of Experimental Educational Psychology, 13 (1), p.21. Torgeson, J.K. (1994) Longitudinal studies of phonological processing and reading, Journal of Learning Disabilities, 27, pp. 276–286. UKLA (2005) Submission to the Rose Review. (Accessed online at: http://www.ukla.org January 2012). Youth Music. (2006). Turning their ears on . . . keeping their ears open - Exploring the impact of musical activities on the development of pre-school age children. Northumberland: Northumbria University.